Get hands-on with slippery, slimy science with these recipes for making slime safely at home. 1. Scoop a few big spoonfuls of cornflour into a bowl. 2. Add drops of water bit by bit until you have a thick slime. 3. Grab a handful of slime and squelch together. Keep your hands moving to keep the mixture solid. When you stop, the slime will change back into a liquid. This recipe is so simple but has amazing results. Switch off the lights and get the glow going! 1. 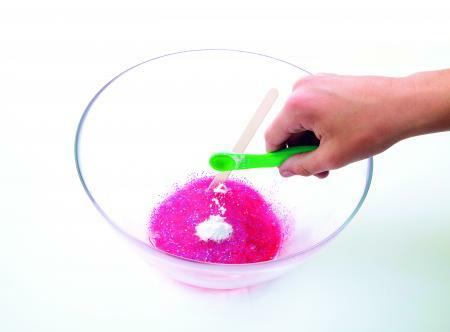 Squirt plenty of glow-in-the-dark poster paint into a bowl containing bicarbonate of soda, water and glue. 2. Stir in the paint and add eyewash, bit by bit. When the slime stops sticking to the bowl, it's almost ready. 3. Switch off the light and mix your slime with your hands. This slime works best when it's still gloopy. Don't forget to wash your hands when you've finished playing! 1. 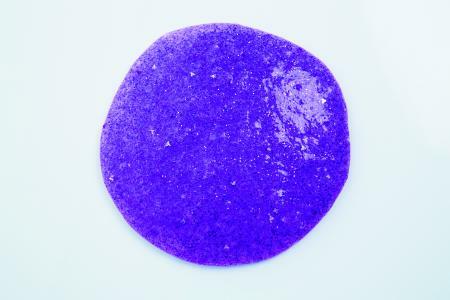 After emptying the face masks into a bowl, sprinkle in some glitter. Try adding different colours and sizes of glitter for extra sparkle. 2. Stir in the bicarbonate of soda. 3. Add splashes of eyewash until the slime starts to come together. Slime-making can take a bit of trial and error, so use your judgement. See-through slime looks even better when you accessorise it! Try out this cool way of adding colour and texture. 1. Put the bicarbonate of soda and water into your bowl. 2. Mix in the clear glue. Then stir in small amounts of eyewash until the mixture starts to gloop together. 3. 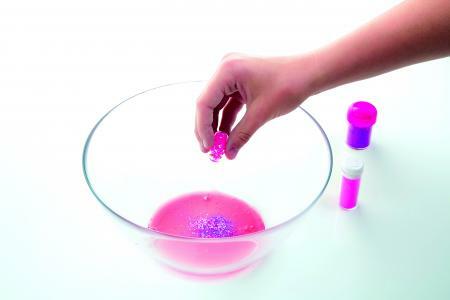 Keep mixing until your slime forms a big, see-through ball with bubbles inside. 4. Empty a packet of pompoms into the slime. Fold them in using your hands. 5. See how far your polka-dot slime can stretch! Go rainbow-coloured with this video tutorial! Perfect for playing a trick on someone, this edible slime looks yucky, but tastes yummy! 1. Empty half a tin of condensed milk into a saucepan. Add the chocolate sauce and stir in well. 2. 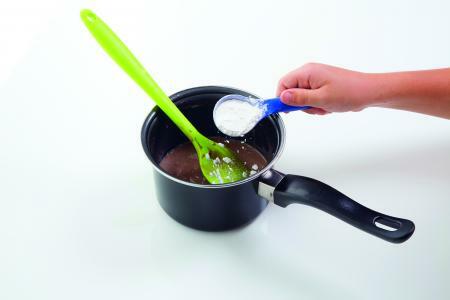 Mix in the cornflour and ask an adult to put the saucepan on a low heat. Stir until the mixture thickens. Transfer the slime into a bowl and leave to cool. A grown-up will be able to tell you when it's safe to touch. 3. 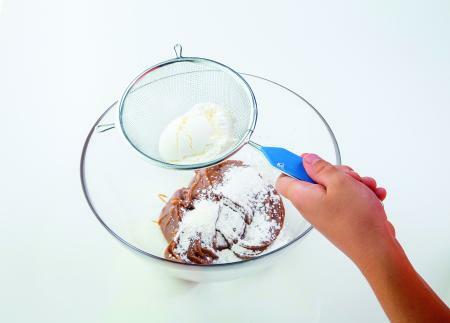 Sieve cornflour over your slime. Sprinkle some onto your hands, too. This will stop it sticking to you quite so much. Then get in there and squish that slime! 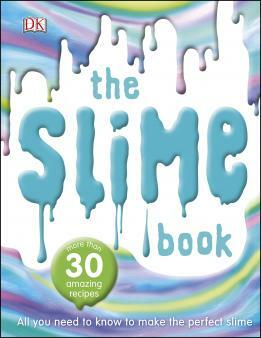 All recipes taken from The Slime Book (£6.99, www.dk.com).